Do you ever have a day that goes by perfectly as planned? Everything flows smoothly and you don't have to rearrange your day or schedule for something unexpected? No? You're not alone. I don't think many people do have days like this, no matter how successful or productive they are. The difference is in handling distractions. Distractions like phone calls, emails that need prompt responses, or drop-in visits aren't things you can plan exactly, but you can plan for them. I always allow for extra time in my day to handle these unexpected things, so that they still get the attention they deserve without completing disrupting my day. This can be a great way to build in extra time for other things - like getting ahead on your to do list for the next day! Distractions are a part of life, and how you handle them will set you apart as a professional and set you up for success. Things will never go as planned, and being able to deal with changes and remain adaptable is a key part of success in anything that you do! So, how do you handle them? Smile, and give all of your attention to the distraction - for at least 1 minute. You can probably tell right away if this is something that can wait or needs to be addressed right away. A positive attitude will help you focus on your bigger picture - which probably isn't to cross as many items as possible off the to-do list. Once you've read/heard what the distraction is, figure out how to respond to it. Phone calls can be brief - request a follow-up via email with the information so you can look at it when you're available and respond separately. Respond quickly to an email letting the person know you'll take a look when you have some time, and then plan to do that. 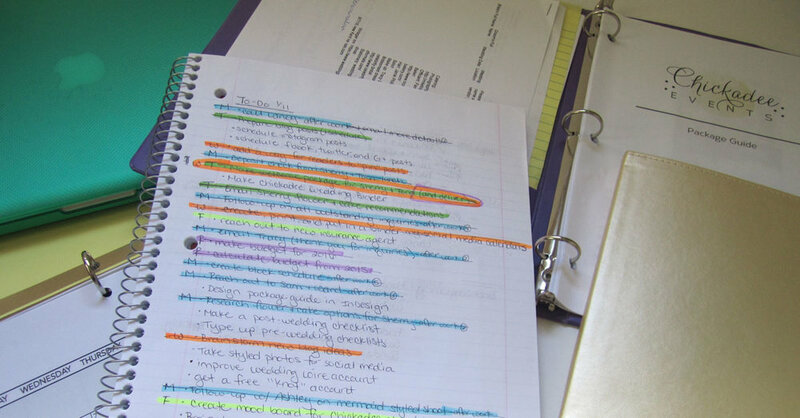 Ask that you finish what you're doing first before jumping into a new task - this will help keep you on track to crossing things off your list while also accepting new tasks and priorities! 2. Reprioritize and be realistic. Remember when I said things don't go as planned? They don't - and you can't hold yourself responsible or feel guilty all the time when things change. Be flexible, and know that it's okay to bump some items to tomorrow's to-do list, or even next week's! As a team player and showing that the distractions (which are ultimately important to whoever is distracting you) are important to you, you'll go far! Finally, welcome distractions! It's so easy to get bogged down in work and focused on meeting a goal or a deadline that we forget the purpose or the reason why we're doing something. The distraction will get you out of that mind sight for a few minutes and change your perspective, even if it's ever so slightly. Who's ready to take on distractions head on and not be afraid of them monopolizing our time and success? Strategize with them in mind and you'll set yourself up for success!